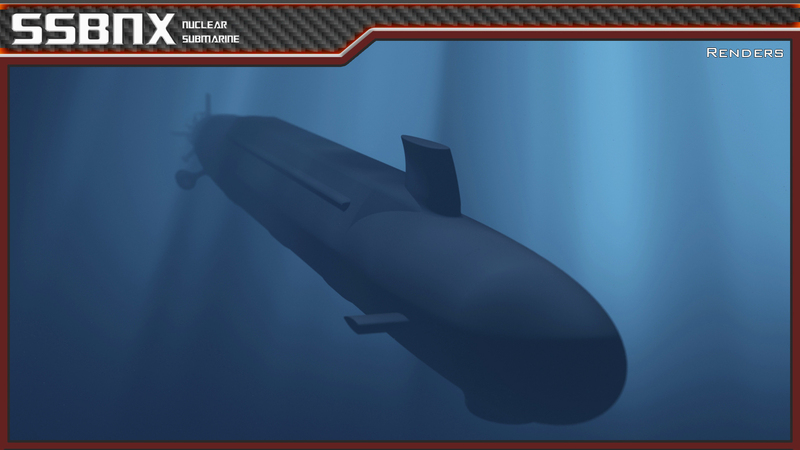 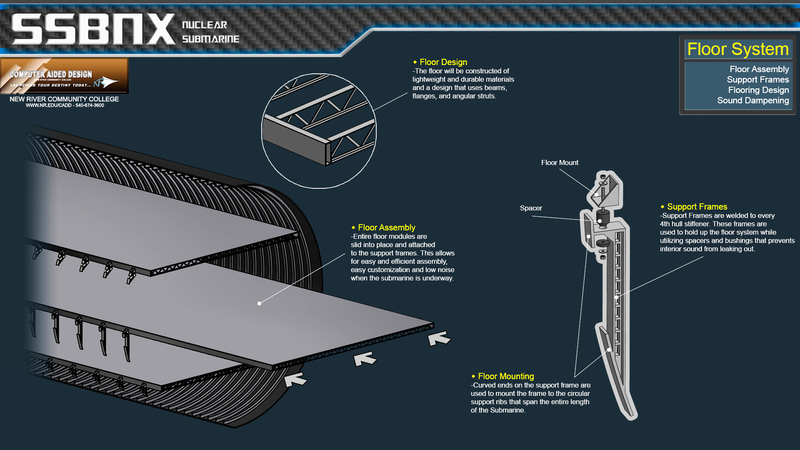 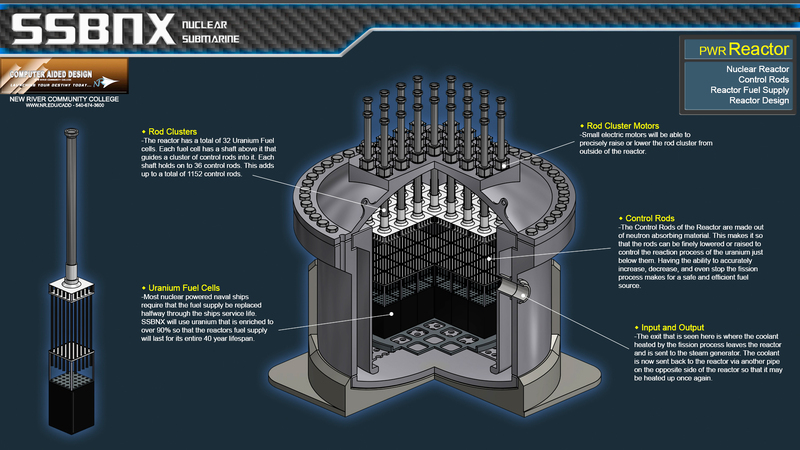 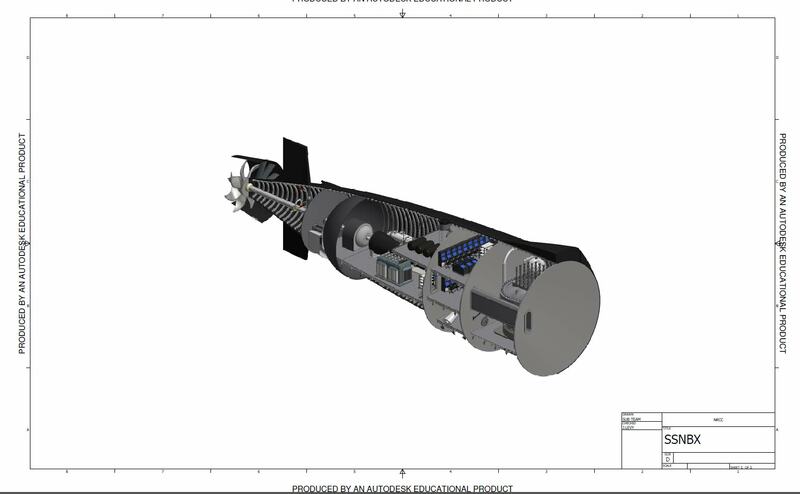 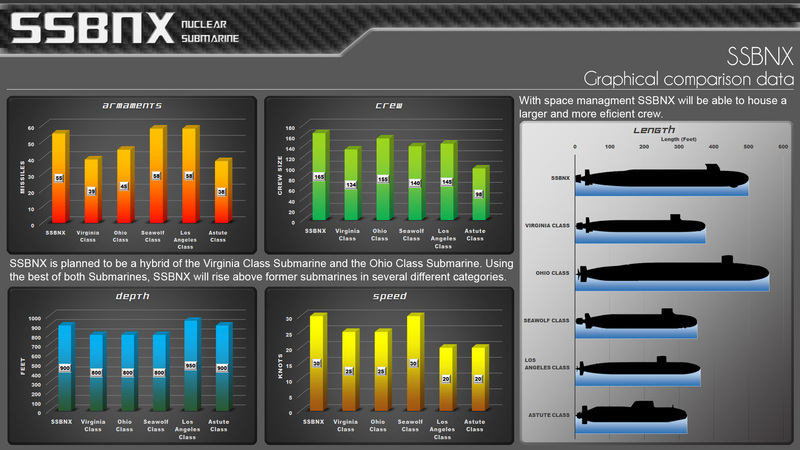 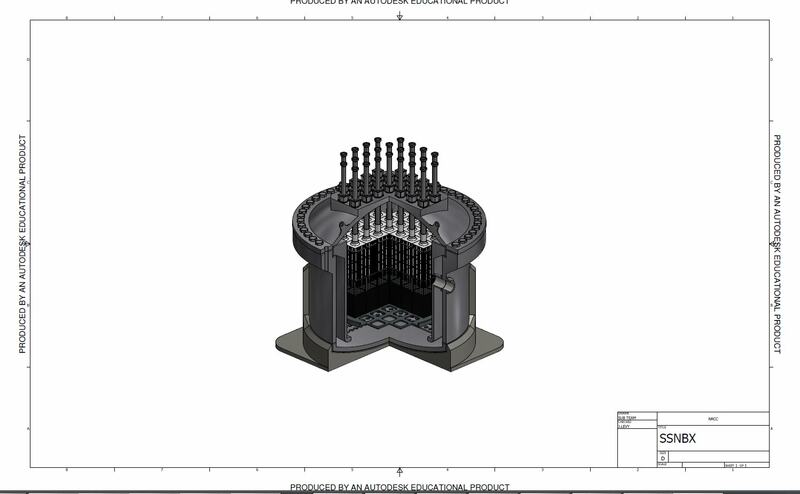 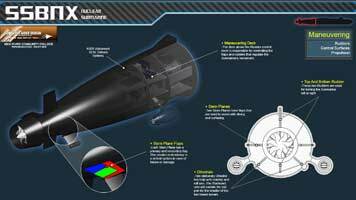 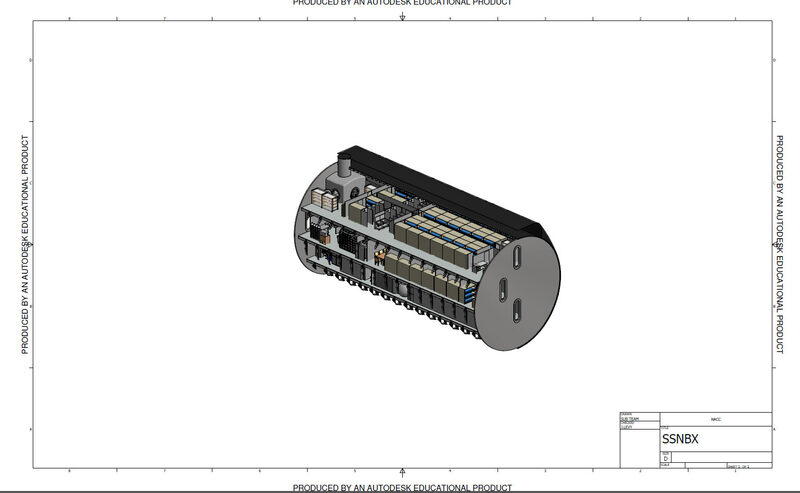 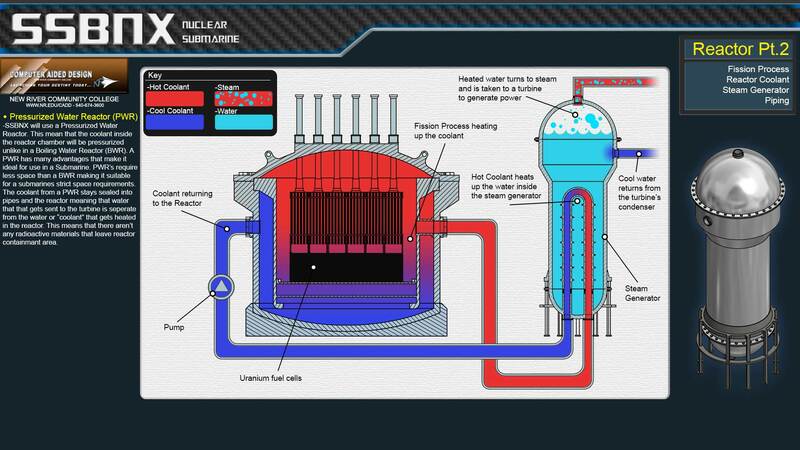 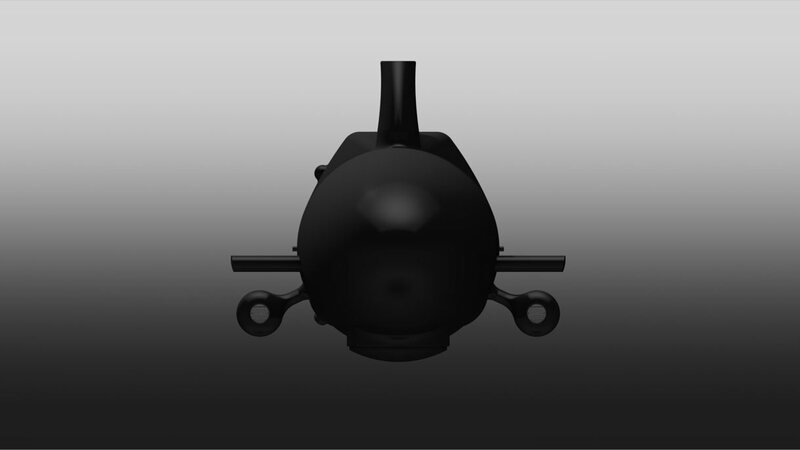 Three years ago, a team of advanced design students along with their instructor Jeff Levy, decided that they would reverse engineer a Virginia Class Nuclear Fast Attack Submarine by gathering as much public information that was available. 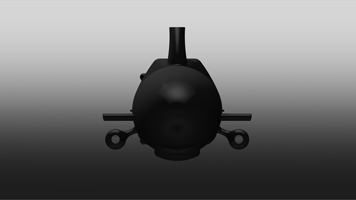 Surprisingly between the Internet, general research, one-on-one accounts, working with the Submarine Research Facility in Maine and a couple of former submarine officers, the students were able to recreate a close facsimile of a Virginia Class submarine with a high degree of accuracy. 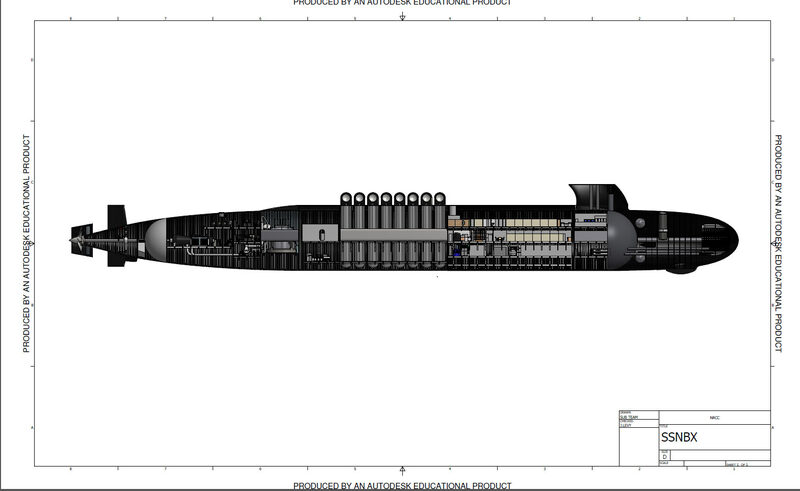 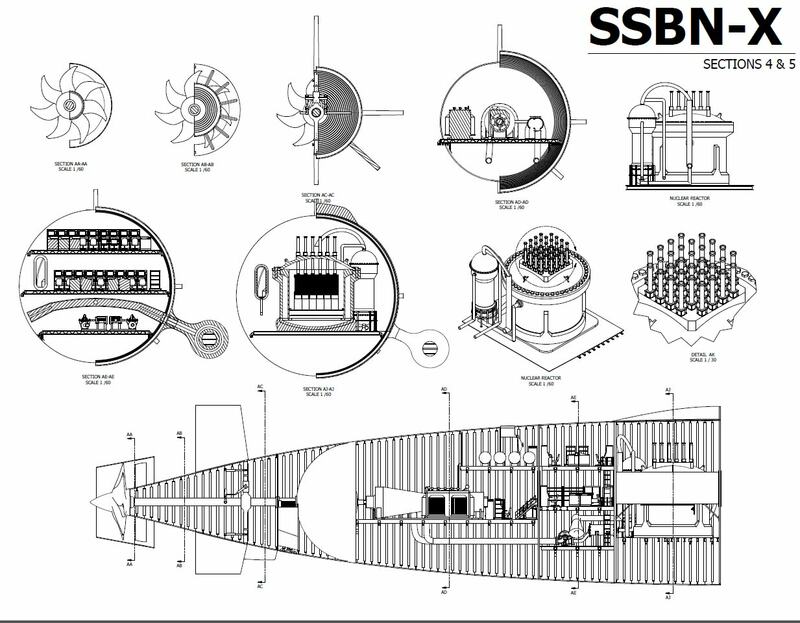 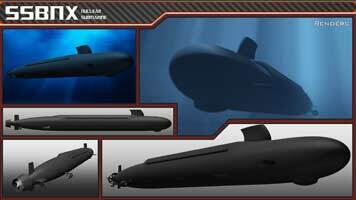 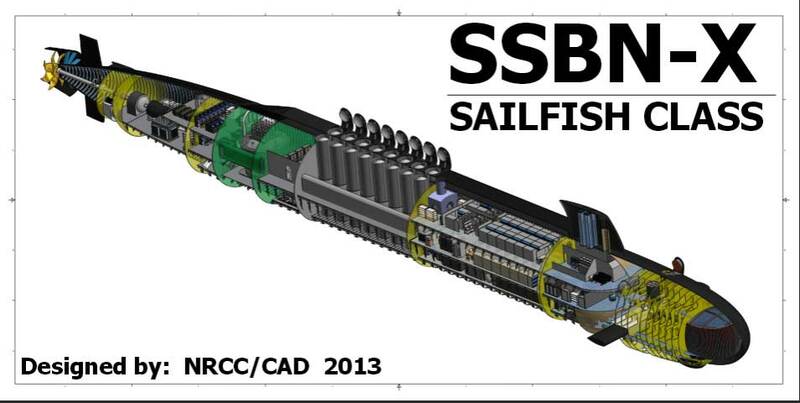 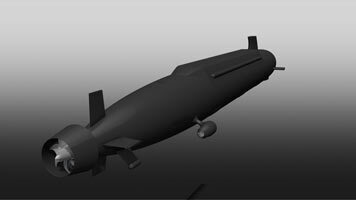 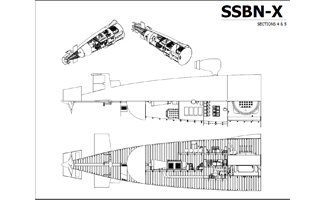 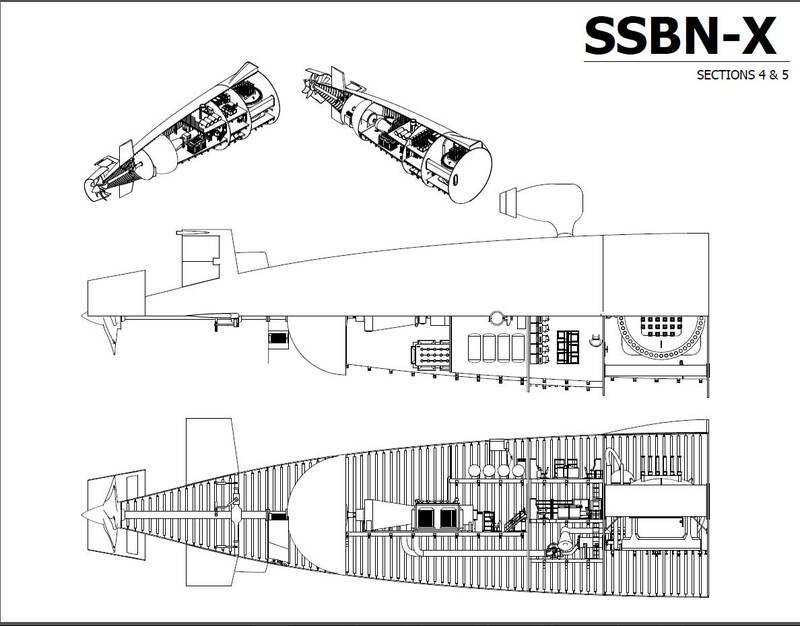 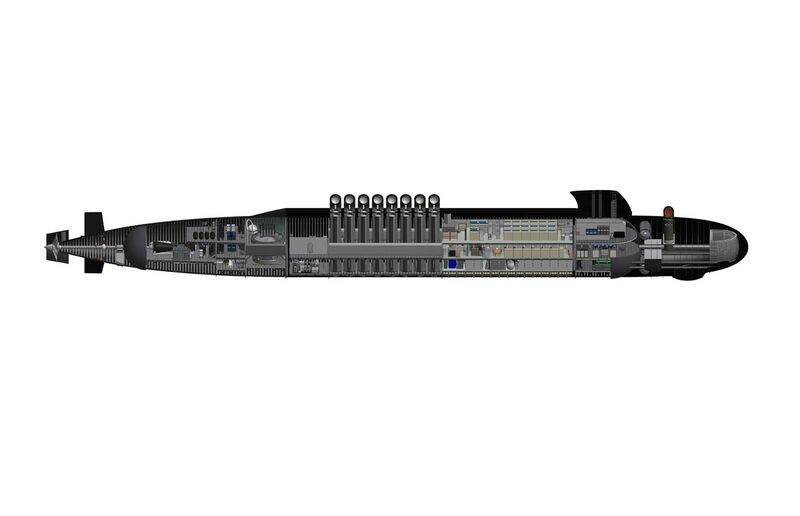 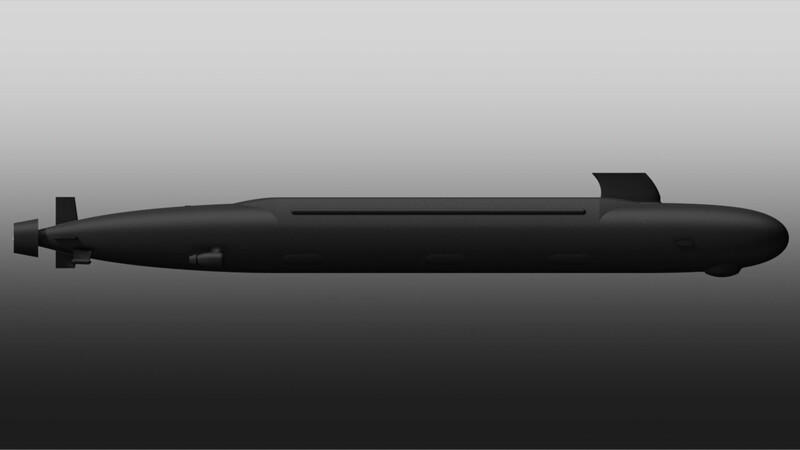 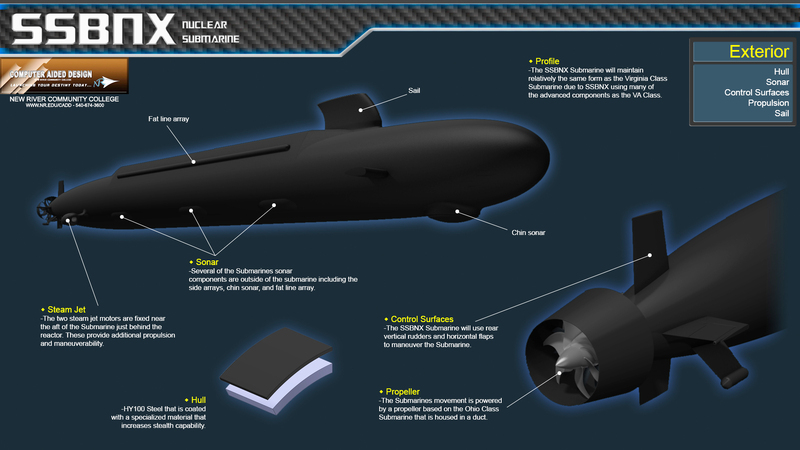 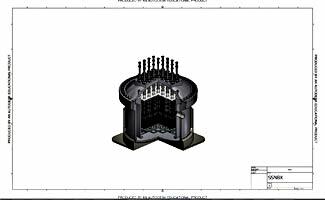 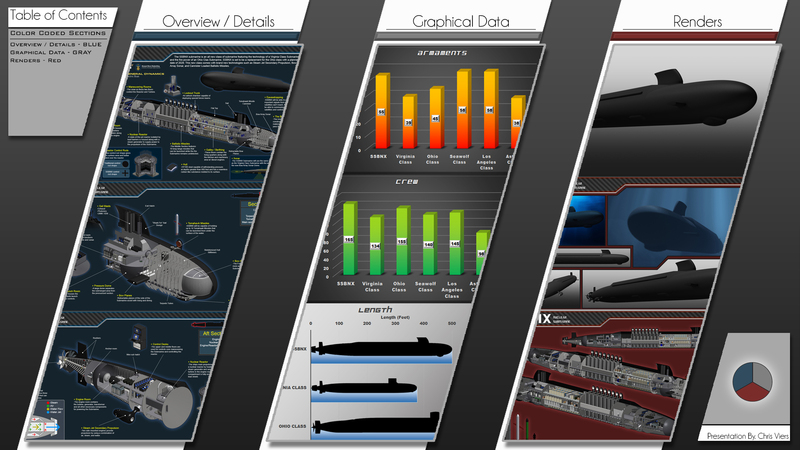 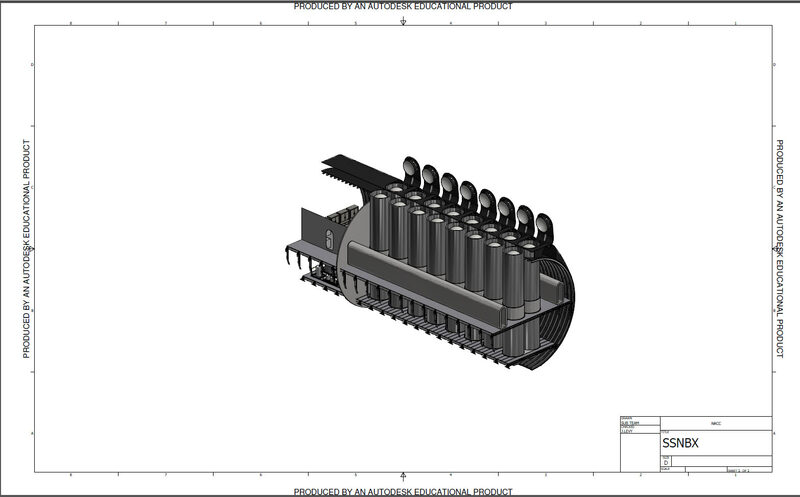 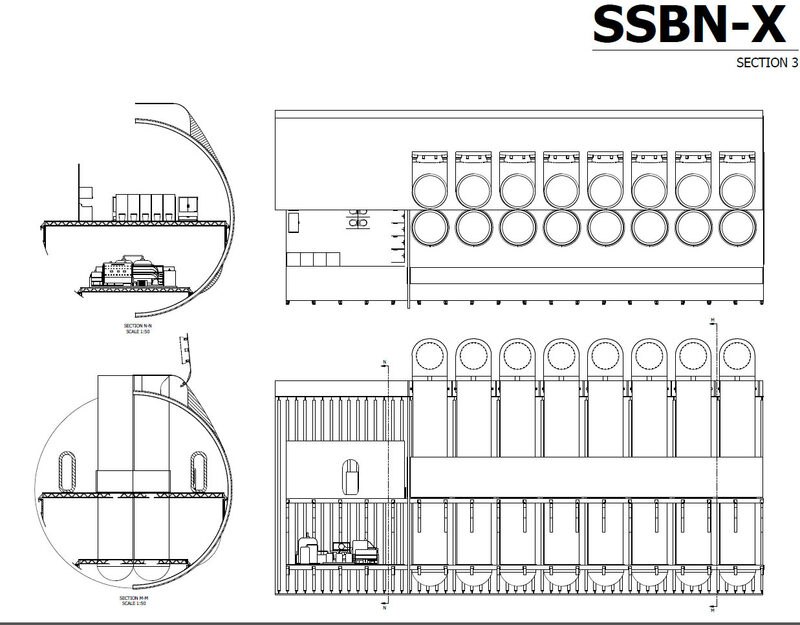 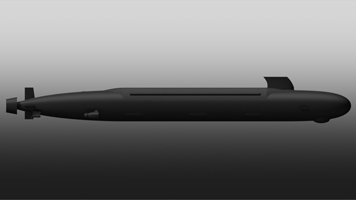 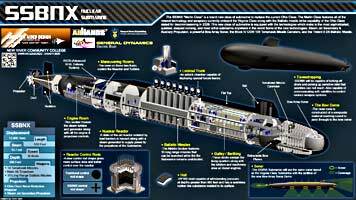 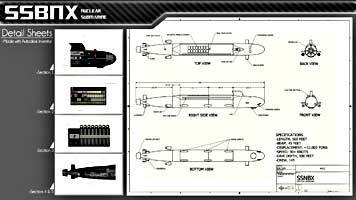 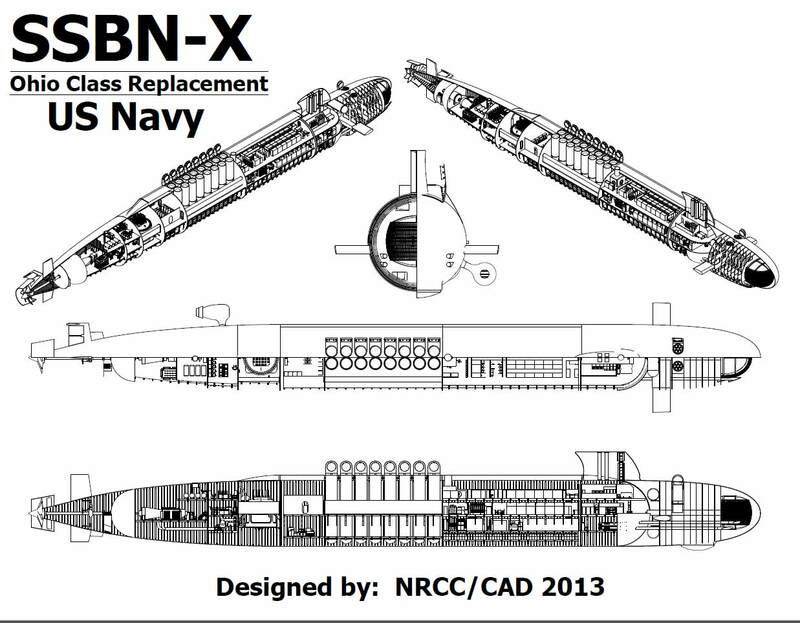 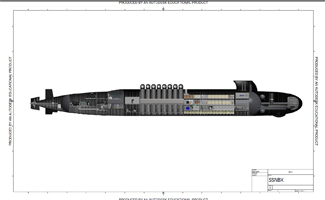 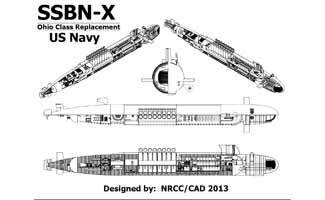 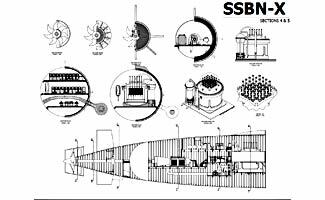 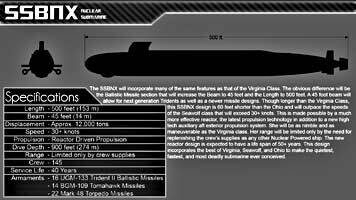 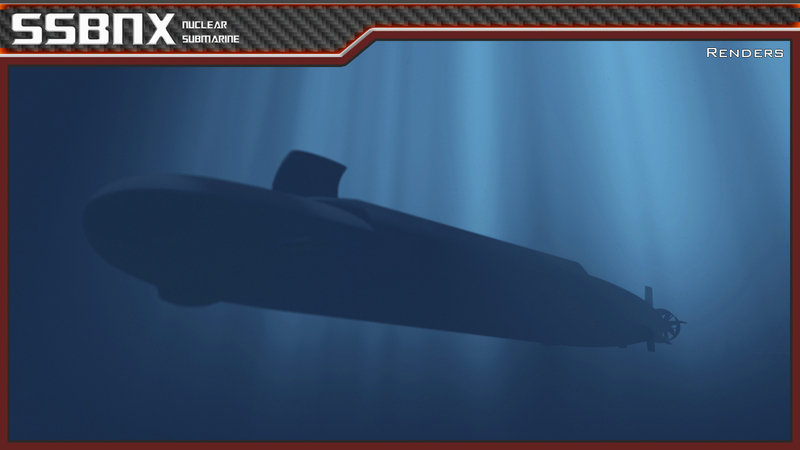 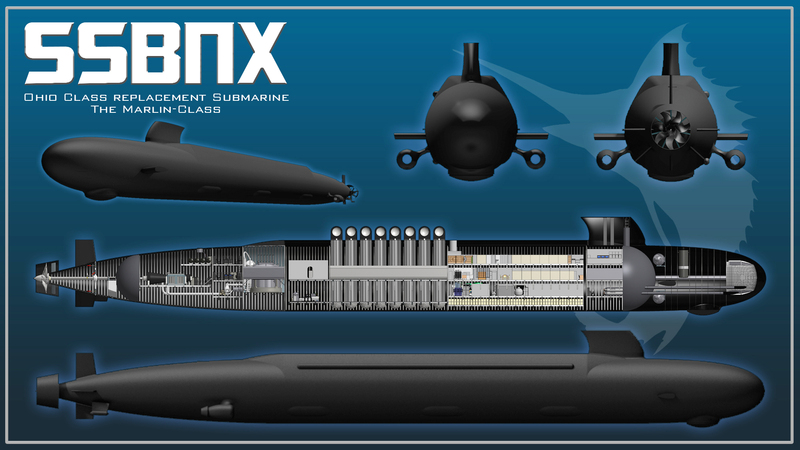 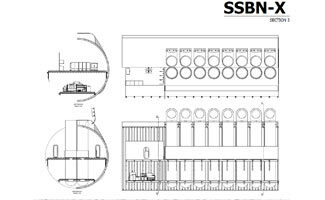 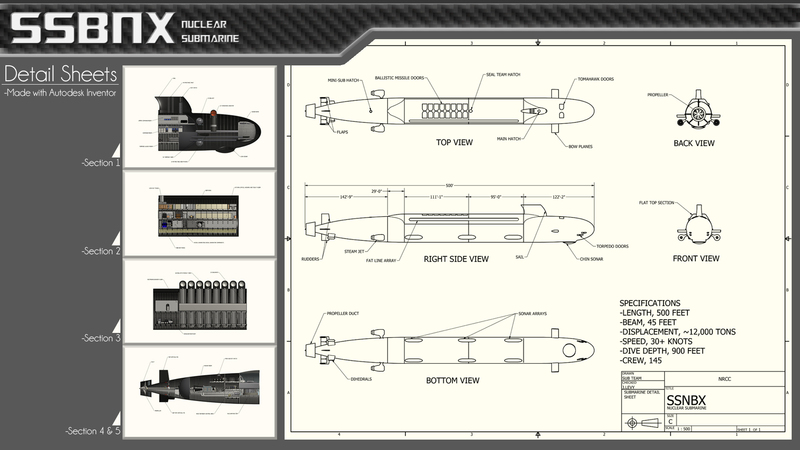 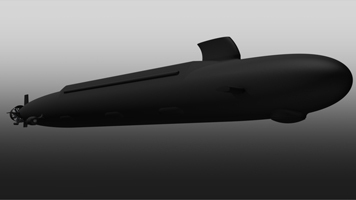 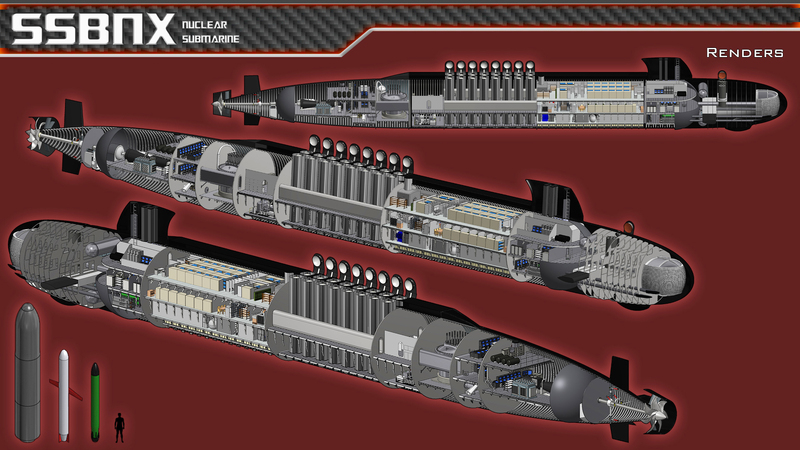 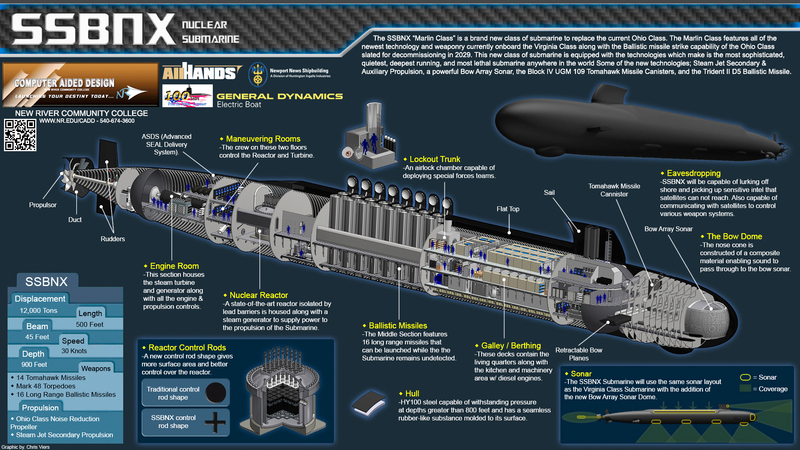 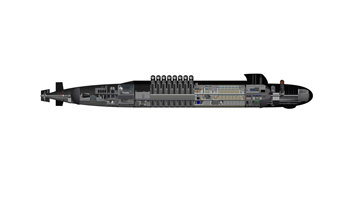 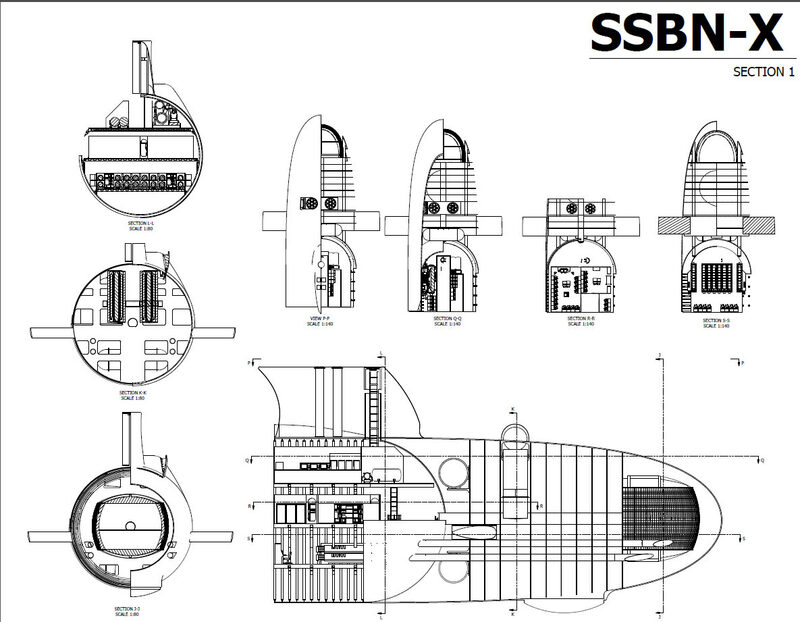 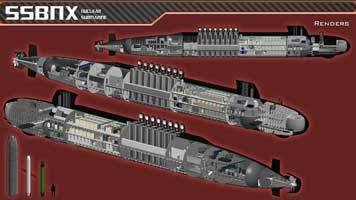 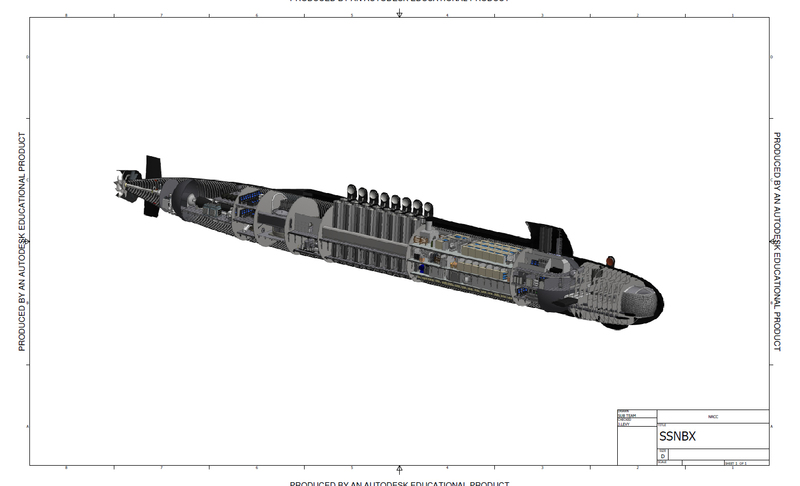 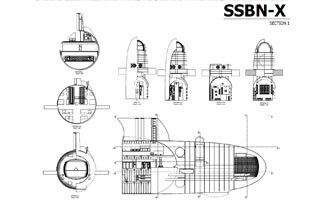 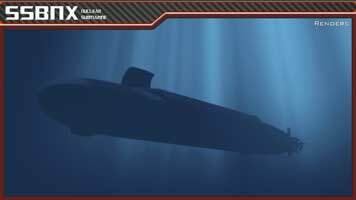 The SSBN-X project is a project built upon the groundwork laid by the previous team. 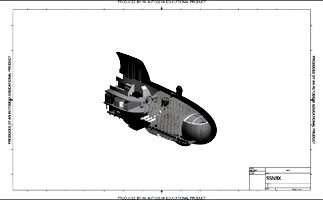 Examining the data that was gathered previously in addition to another six months of research and gathering data that pertained to the Ohio Class and other similar SSBN type submarines, the students were able to develop a concept design that may set the standard for concept designs and modeling at the post secondary level. Currently the University of Iowa is working on CFD (Computational Fluid Dynamic) testing of this 500 foot submarine model to analyze the flow characteristics of the design.